Today we went to Notre Dame, Paris City Hall, the Pompidou Center, and a tower commemorating a king as part of class, then Laurie and I went to the Medieval Museum in the afternoon. We were going to go to the Deportation Museum, but it was closed, but then we walked by the bridge over the Seine where lovers put locks on the bridge to seal their love (or something like that). 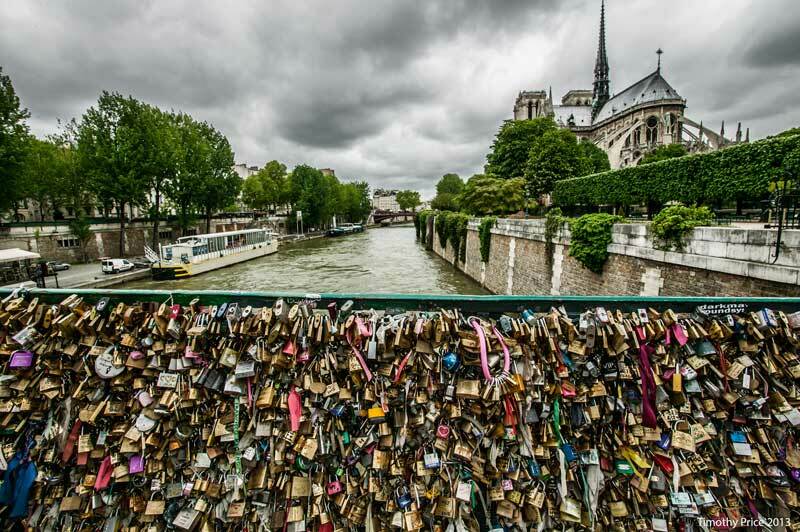 One of the students said his parents had placed a lock on the bridge many years ago — we decided it would be impossible to find it. I used a super wide-angle lens for the exterior and interior shots today, so the buildings are distorted. But then, you can Google the building and see photos of the buildings closer to the right perspective. 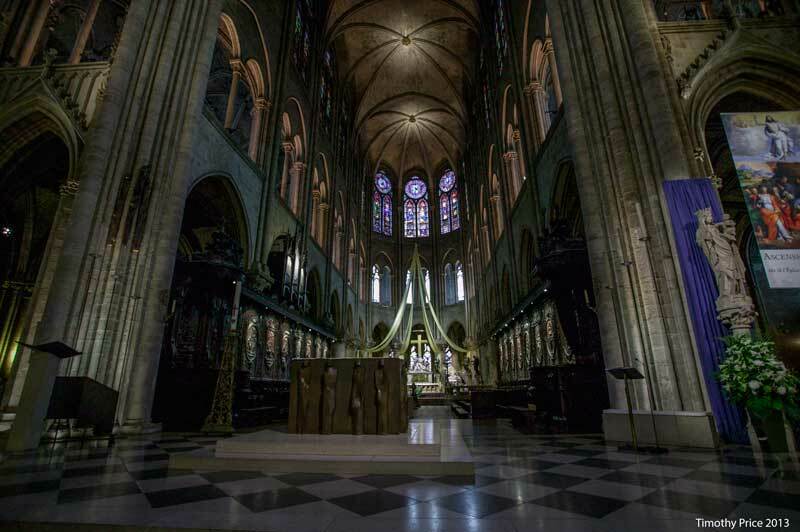 Notre Dame is 850 years old now, and the exterior has been cleaned and the cathedral is free of scaffolding on the exterior. 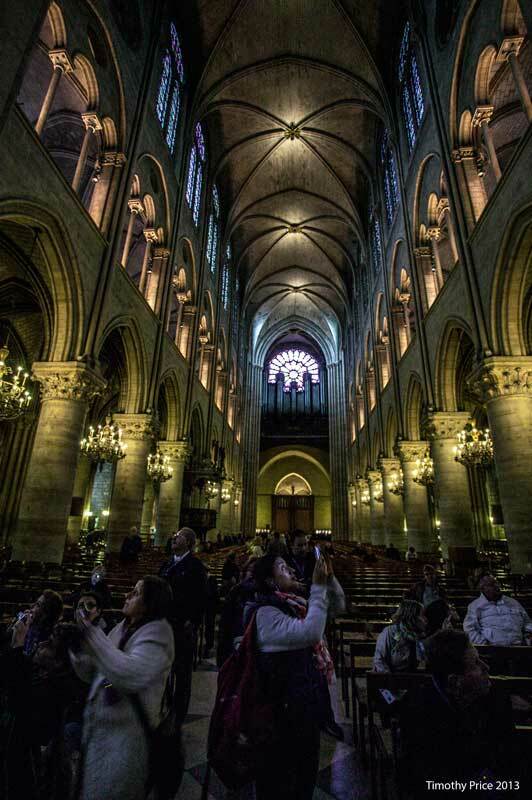 The interior is dark so the stained glass is very luminous. 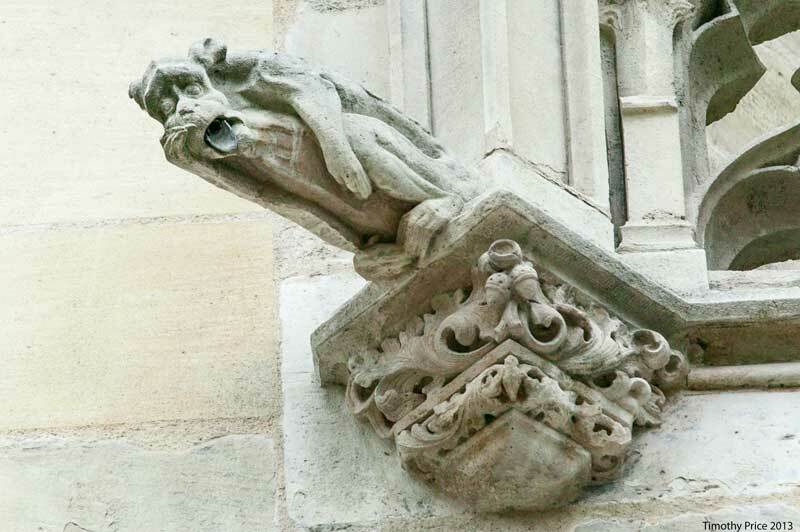 There are a lot of nice gargoyles on Notre Dame, but most are very high and difficult to see well with the naked eye. 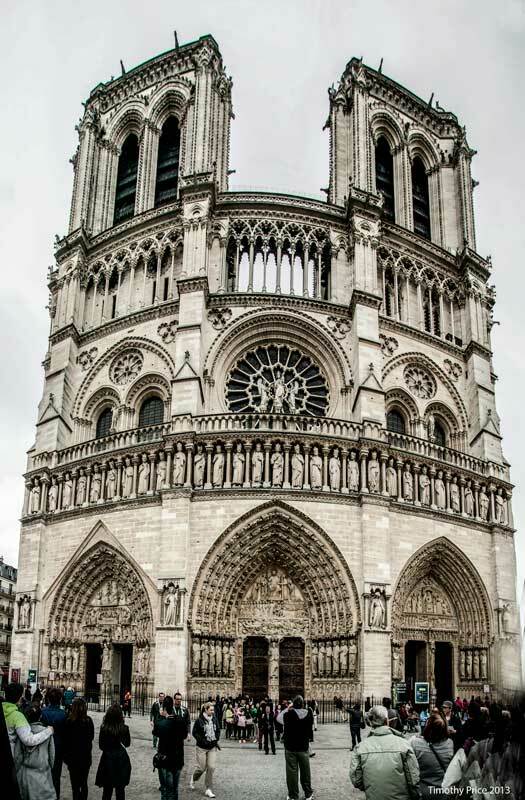 I have some details of gargoyles on Notre Dame, but the gargoyles I posted today are on the commemorative tower — I had better light at the tower, so the definition is better in those photos. City hall (not pictured) is a big, recently cleaned building, with a lot of statutes of famous statesmen, artists and people who were involved with the arts and sciences. There had bee some kind of celebration or fiesta over the weekend, as there were work crews taking down tents and amusement rides. 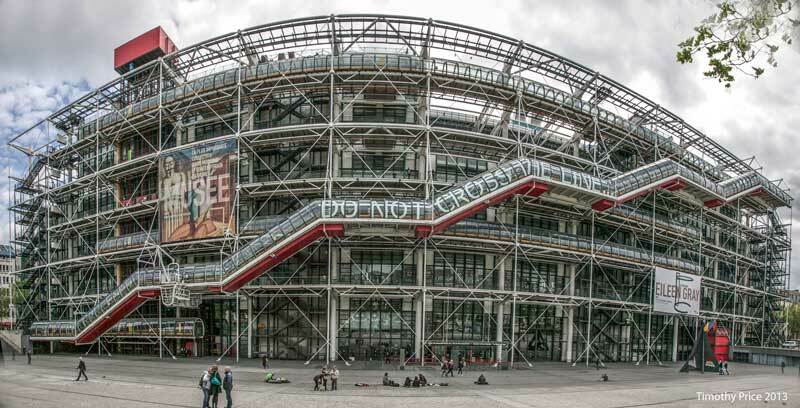 The Pompidou Center is a large, modern building that was very controversial because of it’s raw, skinless, functional structure. 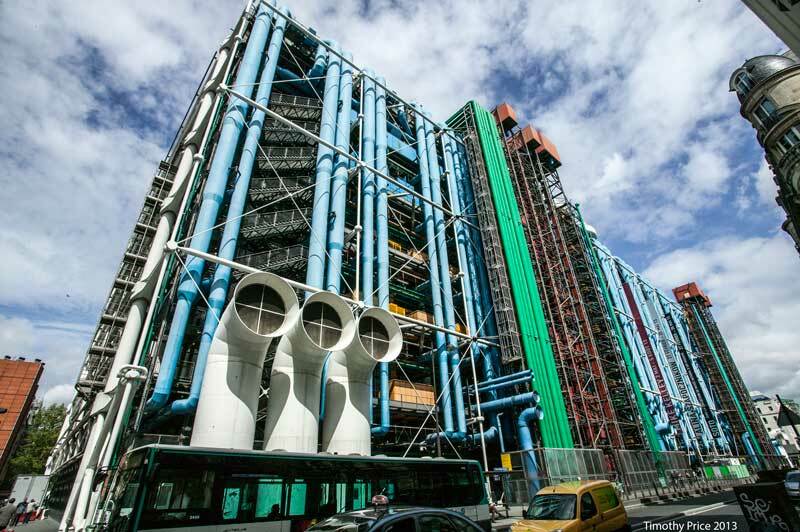 The multicolored pipes on the one side of the building are color coded by function — hot water, cold water, HVAC, etc. — and are exposed and color coded throughout the building. 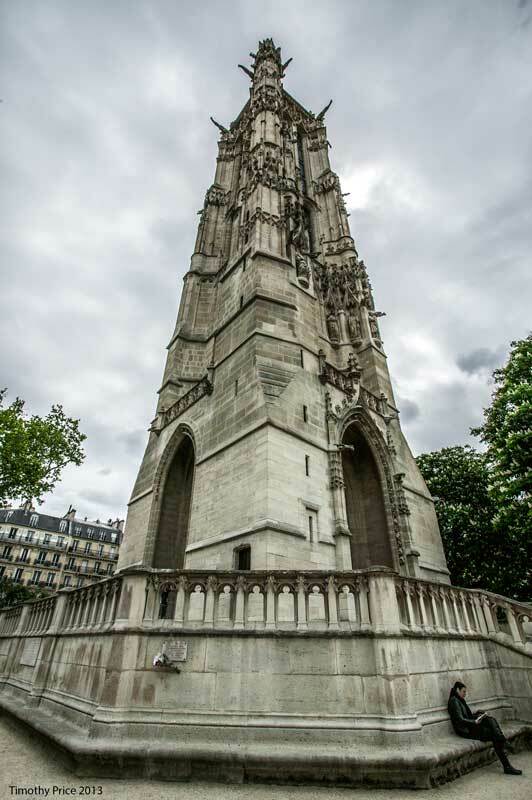 The tower was built by a king for himself and serves no other purpose but as a monument to the king. 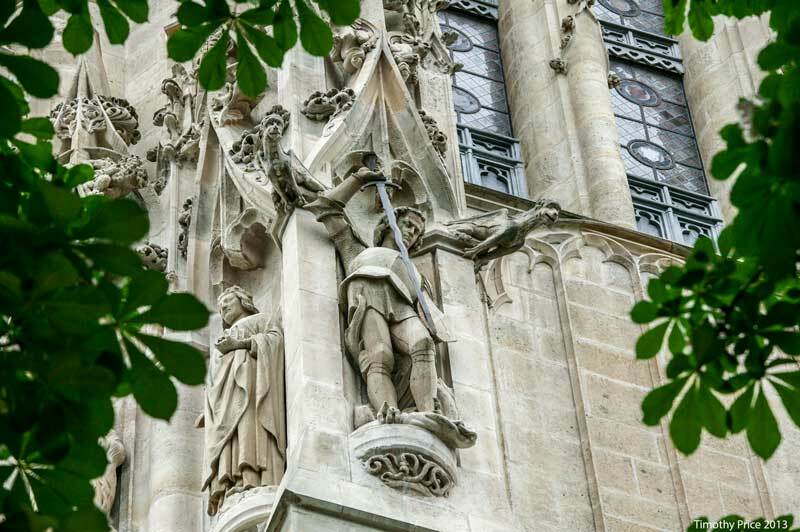 It has great gargoyles, so I included a statue of St. George flanked by gargoyles and then a detail of St George and one of the gargoyles. The second detail shows how expressive the gargoyles are. 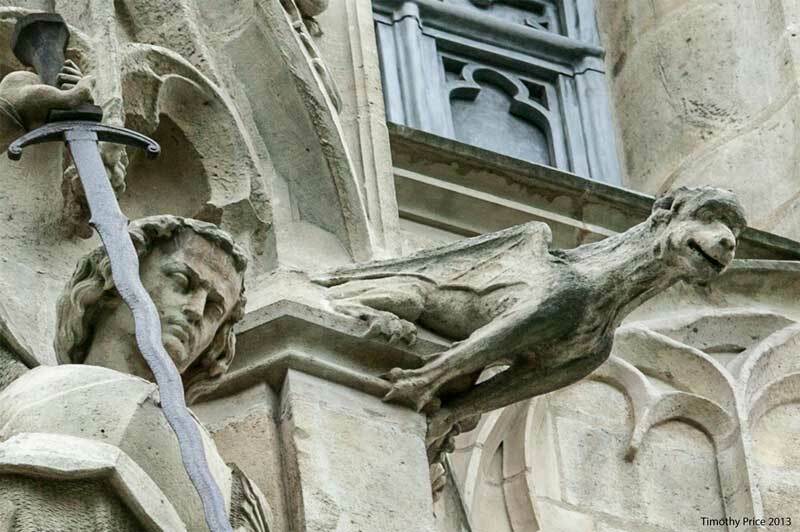 Professor Janetta Rebold Benton, in her talk on gargoyles in April, said the gargles were made for God, because they are so high and hard to see. Fortunately we have telephoto lenses today that let’s us see want my have very well been for God’s eyes only. The Medieval Museum was fantastic, but we didn’t have time to really look at everything. 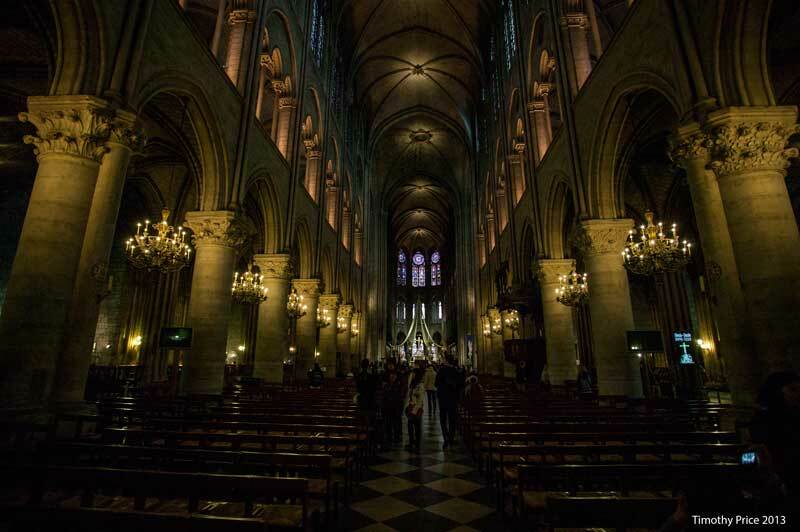 We will go back to it when we return to Paris in June. 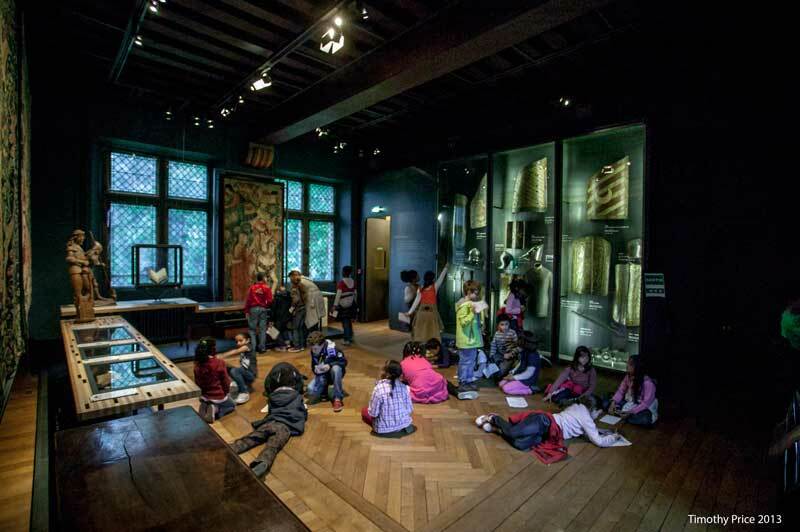 There a lot of groups of school children in the museum listening to lectures on the art, running around and finding pieces on their worksheet, and drawing some of the artifacts on display. The last photo shows a class in the room with swords, shields and other accouterments of chivalry. Laurie has a little magnifying glass on the compass, so we were looking at some of the illuminated manuscripts with the magnifying glass. Tiny details about the size of a pin head have amazing detail of faces with expression and realistic looking flowers, and lines no thicker than fine hair are perfectly drawn. I can only imagine that the artists used some type of magnifying glass to do the work, or they had amazingly good vision.